To do same day replacements. To provide personal service of a dedicated consultant. To give after hour support. 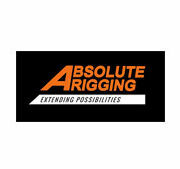 To offer a Lifetime Guarantee on workmanship on the replacement of windscreens. 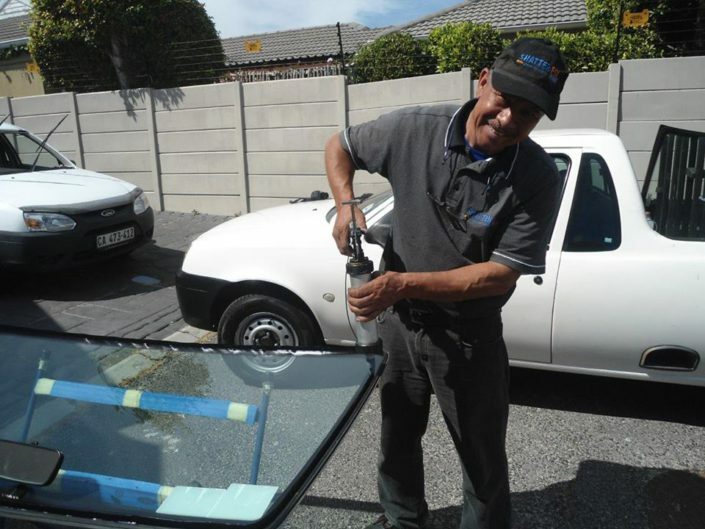 Our business specialisation is windscreen repair and replacements. In order to serve our valued clients even better, we have assembled highly trained and skilled vehicle glass repair and replacement crews. This allows us to reach our clients within 24 hours wherever and whenever we are needed, such as at roadsides, homes and business premises. Through many years of experience in the industry we have managed to deliver a very good turnaround time. Our business footprint stretches across the entire South Africa. We have therefore earned a glowing reputation as windscreen repair and replacement experts in major cities such as Cape Town, Johannesburg, Durban and many others. Our motor vehicle glass repair and replacement service covers all motor vehicle makes and models and sufficiently covers vehicles for both domestic and commercial purposes. 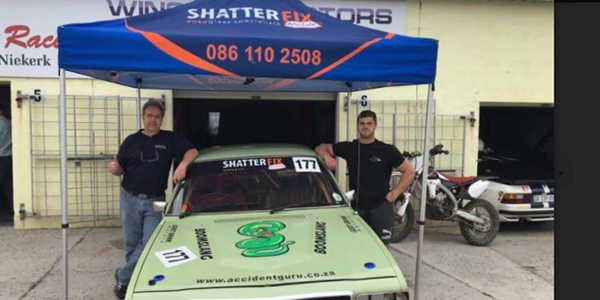 Our business credibility ranks very high on the list of windscreen companies. We have the status of being listed on the Bordereaux vendor panel of the most prominent insurance companies as a preferred service provider for auto glass replacement/repairs. ShatterfixMobile also specializes in the professional tinting of all types of glass – automotive (smash & grab) and all building glass (domestic/commercial and architectural). 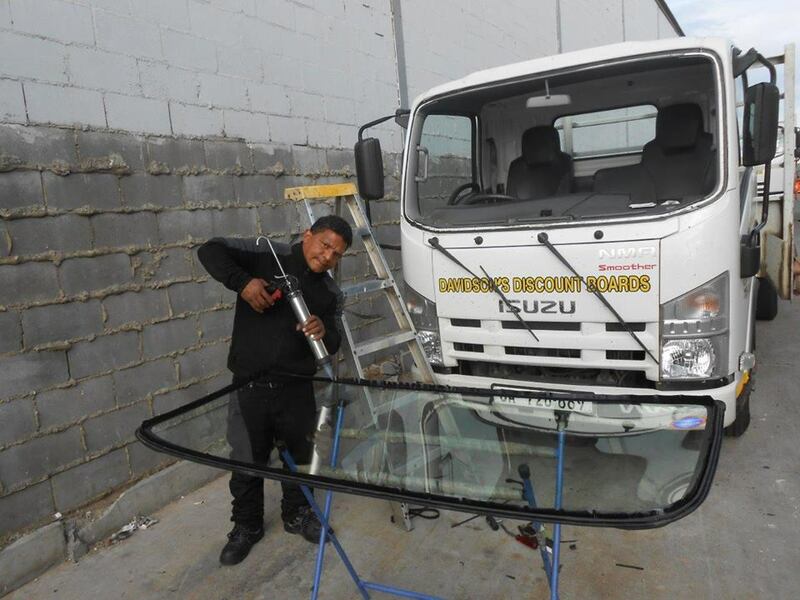 We should therefore be counted as the first point of call for windscreen repair and replacement, all auto glass replacement services and other related services and products. We offer mobile windscreen repair, which means we reach you wherever you are. 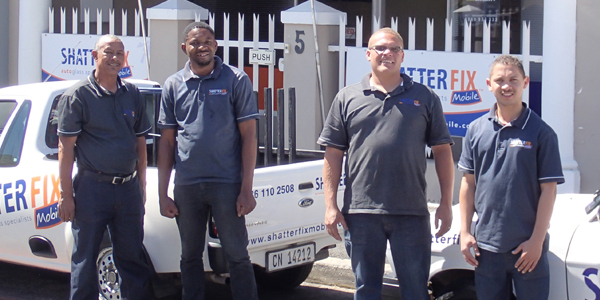 Shatterfix offers comprehensive auto glass services. We offer affordable auto glass repairs and replacements on all major automotive brands. 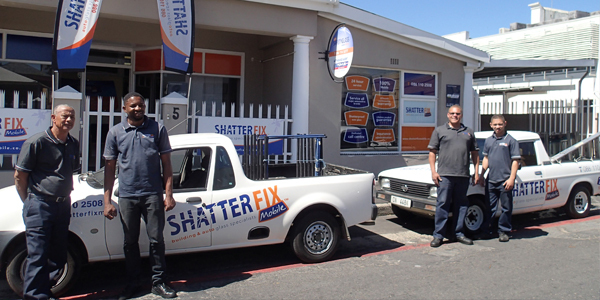 Shatterfix is SABS/ISO/DOT/E-certified and mark approved shatterproof/windscreen glass service provider. 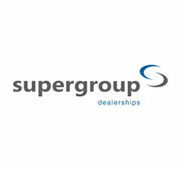 We offer lifelong warranty on windscreen services and 24 month warranty on all other vehicle windows. We give free quotations on all automotive windscreens services. 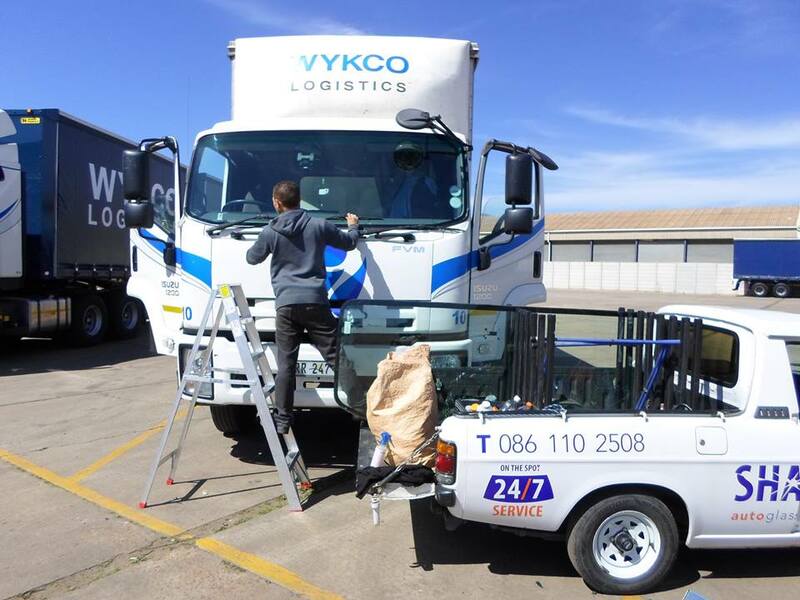 We are rated among the best windscreen repair companies because of our world class service and dedicated 24/7 call centre. We have an efficient network of autoglass dealers and fitment centres in all major cities and towns. We take care of all auto glass repair insurance administration for you. He matriculated in Calvinia and worked for the SAPS for 12 years. 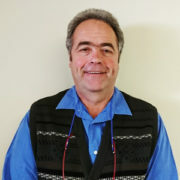 He has spent 18 years in the private sector and joined the Auto Glass industry in 2009 and manages all the departments in the company. 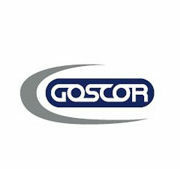 Goscor. Your prices are always fair and your service outstanding. When talking to you, one always feels important and we always enjoy the respect we are always treated with. Continue with your excellent service! Weereens baie dankie vir julle hulp gister met die ontevrede kliënt wat elders `n ruit laat insit het. Soos altyd kon ons op julle knoppie druk en kon julle ons dadelik help. Baie dankie vir julle uitstekende diens reg deur die jaar en dat n mens altyd op julle kan staatmaak – selfs al is dit op kort kennisgewing. Jou personeel is altyd profesioneel en vriendelik. Hulle werk is van hoogste gehalte. EK wil hê hulle moet erkenning kry vir die diens wat hulle lewer. Dit is altyd lekker om jou span mense op ons perseel te hê. We would like to confirm that Shatter Fix is a preferred supplier with removal and fitting of our damaged windscreens within our Fleet of 141 vehicles. They are providing an excellent service with being flexible with our requirements and we have had no comebacks on their workmanship. We have requested from them to be of service at various after hour requirements with no resistance to comply with our operational needs and our staff find it easy to engage with their staff. We would gladly and with no prejudice recommend their services to the Industry. 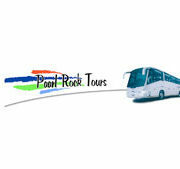 Graag wil Paarl Rock Tours van hierdie geleentheid gebruik maak om Shatterfix te bedank vir die goeie diens gelewe met die ruitvervanging van Scania bus CN29057. Die feit dat die span bereid was om die ruitvervanging op ’n Saterdag aand te doen, spreek van uitstekende klieente diens en dat Shatterfix bereid is om die ekstra mal te loop. Dit is ver ons as bus maatskappy baie belangrik dat die toeriste wat vervoer word altyd tevrede gestel word met die toestand van ons busse. Die span wat die ruit vervang het, het baie goeie en profesionele diens gelewer en hul taak met ywer en entoesiasme voltooi. Nogmaals baie dankie en vertrou dat hierdie goeie band sal voortgaan in die toekoms. We are a progressive business institution and we are constantly looking for growth opportunities in various market segments. We are proud to say Shatterfix Mobiles next business frontier and expansion step is taking us into the highly competitive but profitable glass and aluminium/UPVC market. This step of our business growth arises out of us leveraging on our strong partnership with Glasfit Brackenfell. This business partnership will provide the foundation on which the supply and installations of all building glass will be conducted. We can now be counted on to offer the best building glass quality as well as the latest technology building glass and frames for any domestic or commercial application. Our product category will therefore cater for home windows, office or business premise windows as well as residential and commercial property development sectors. Service excellence is at the heart of our business entity, and we are constantly ready to give free service and product quotations as well as bid for tenders for highly professional supply and fitment or installations of all building and architectural glass windows and materials. 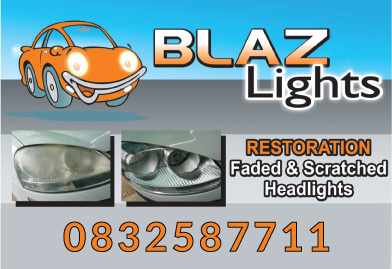 In order to be a responsive national auto glass business firm, we have made reaching our business premises convenient. Contacting us telephonically or filling in your contact details on our website also allows us to meet client needs as a mobile windscreen repair service provider in any location.